B & B Tramontana is the ideal base for both a quiet and an active holiday in Flanders. The possibilities are numerous thanks to the proximity of the Belgian coast, and the beautiful Flemish cities such as Bruges and Ghent that testify to a rich Flemish past. Our Bed & Breakfast located in the heart of 'Houtland', with the largest reserves of woods, forms a fascinating backdrop for hikers and cyclists. On the domain around our Bed & Breakfast are also many historic castles that are still in very good condition. These historic pearls are also along a beautiful route. B & B Tramontana is located only 200 meters from the old railway bed, 3 km from Kasteel d 'Aertrycke and 4 km from Kasteel Wijnendale. 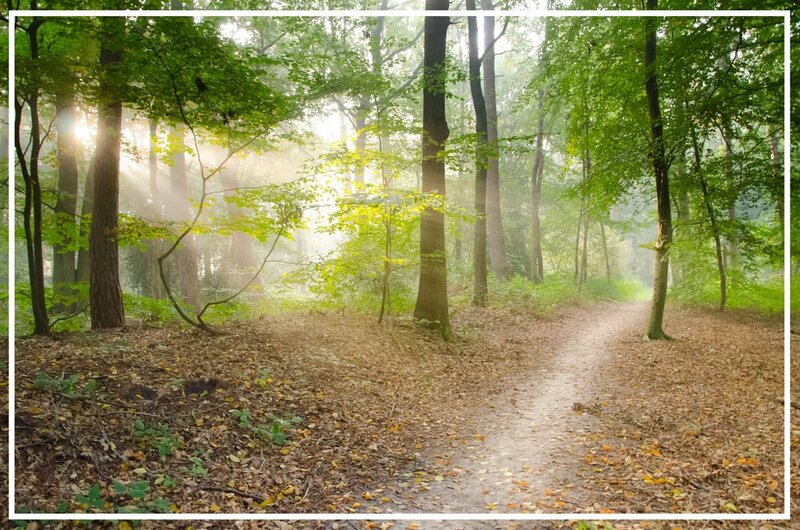 Make beautiful hikes in the Wijnendale forest, the largest forest reserve in Flanders, in the domain Groenhove which also houses a manège and bridle path and along the Moereveld walk path (7.6 km along meadows and fields). De Groene 62 (22 km along the railway line) between Torhout and Ostend with unique views on the Flanders landscape (brochure here). Cycling to Bruges - 20 km - Roeselare 15 km - De Haan 20 km. Furthermore, there are of course also the more extensive and marked hiking and cycling tours including the Wijnendaele route. Bed & Breakfast Tramontana is located in the heart of the well-known Castles Route (56 km). Enjoy gastronomy in restaurant 'Charbon' at the Castle d'Aertrycke (part of the Passim Restaurants). Unwind in and around Castle Wijnendale, a water castle from the Middle Ages in an oasis of nature. Visit the Castle Museum and the Burgundian Caeshuys museum. More information: www.westtoer.be/nl/doen/kastelenfietsroute or download the castles cycle route here (printable version). Bed & Breakfast Tramontana is a stone's throw from Bruges, the Venice of the North. Discover the many historic buildings that Bruges has. Including the Belfry, Saint Salvators Cathedral and the Basilica of the Holy Blood. Enjoy typical Belgian delicacies such as a nice beer in De Halve Maan Brewery or the Choco Story Museum. Take a cozy and romantic stroll with the two of you along the beautiful Brugse Rijen and the Minnewaterpark. Bed & Breakfast Tramontana is a stone's throw from the charming Belgian coast. Visit the picturesque De Haan and visit the many beautiful villas from the Belle Epoque. Drive towards the Queen of the Bathing Stones, Ostend and enjoy the wide sea views. Enjoy a day of sun, sea and sand along the 67KM long coastline.